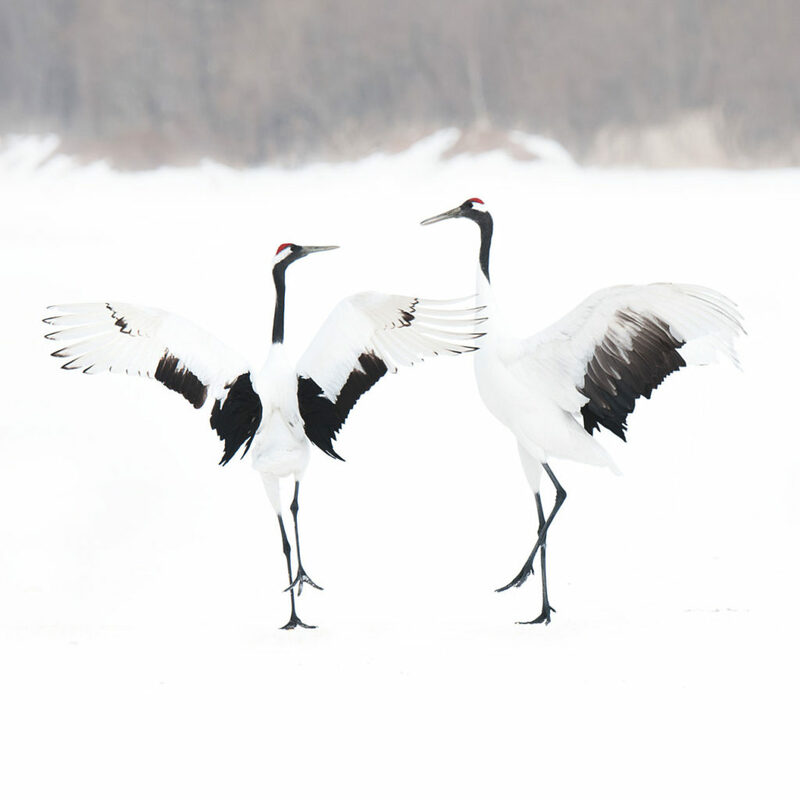 Two red crowned cranes dancing together during the mating period. The elegant dance, as well as the white environment, gives the scene a poetic and ethereal look. The red crowned crane is a gracious and elegant animal that seems to create elaborated choreographies during the courtship ritual. In Japanese traditional mythology red crowned cranes are the symbol of luck, faithfulness and health in durable marriages. Apparently cranes are together for life, moreover the male sits on the eggs as the female, hence becoming a symbol of dedication in a family life context. Regretfully La Grus japonensis is as beautiful as it is in danger: it is included in the IUCN Red List among the species that are threatened with extinction.